How hot was it? We had 11 days where the temperature was 30 C or higher. Normally, we only have three or four July days that hot. As the month comes to a close, we can all bid farewell to one of the hottest Julys Montreal has ever seen. Temperatures were, on average, three degrees above normal this month — the normal is 21.2 C, and we were at 24.2 C.
We had 11 days in which the high was 30 C or warmer — usually, we would have three or four days. And we had a higher than normal number of days with a high humidex value (but there is no quick way to calculate that number, so he couldn't say how many exactly). You have to go back 97 years to find a July that was hotter: 1921, the hottest Montreal July on record, saw 15 days above 30 C and an average temperature of 24.7 C.
Note that this year's temperatures were recorded at Montreal's Trudeau airport, while temperatures in 1921 were recorded near McGill, but the numbers are comparable due to adjustments made by the team at Environment Canada. Believe it or not, we had 97 millimetres of rain this month, which is slightly above the average of 89 millimetres. But most of that rain — 90 millimetres of it — fell in three days. August will bring a few days of high heat but likely nothing like the heat wave that kicked off July, Legault said. 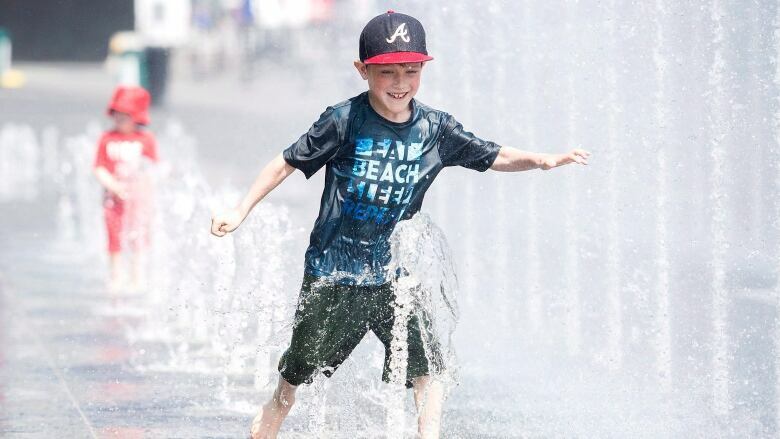 According to Montreal's public health department, there were at least 53 deaths possibly linked to the heat in the city over the course of eight days, from June 30 to July 7.